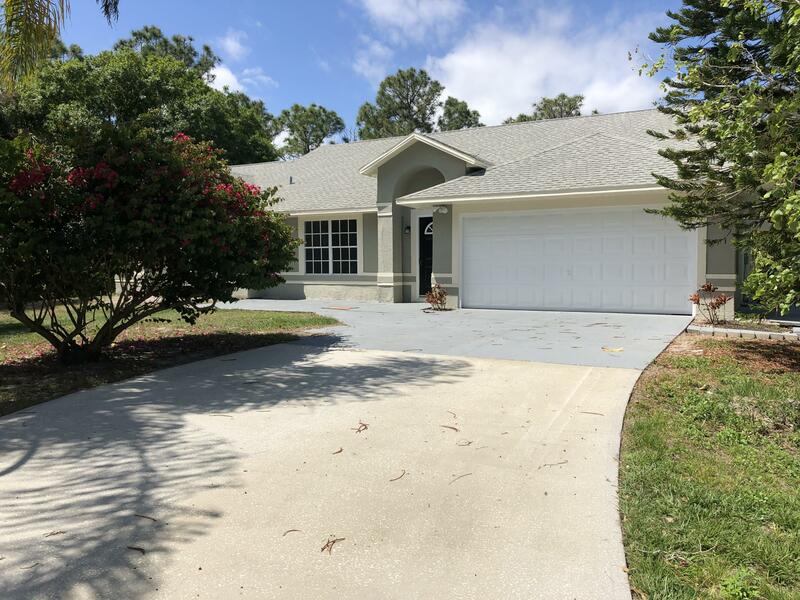 All Malabar homes currently listed for sale in Malabar as of 04/26/2019 are shown below. You can change the search criteria at any time by pressing the 'Change Search' button below. If you have any questions or you would like more information about any Malabar homes for sale or other Malabar real estate, please contact us and one of our knowledgeable Malabar REALTORS® would be pleased to assist you. "Updated 3 bedroom 2 bathroom 2 car garage in Malabar. Over an Acre of land. New kitchen with granite counters, real wood cabinets and stainless steel appliances. New solid wood vanities with granite countertops. New wood laminate flooring, new carpet in the bedrooms. New fans and light fixtures through-out. New AC unit with Warranty! Wood burning fire place. Freshly painted inside and out. This home is a must see."